So do you think the process and trouble of finding a press and what not is worth it? I bet it saves money though. It definitely saves money, and I enjoy it and find it worth it. I would try to improvise a press and make it a couple of times to find out if it’s something you can really see yourself doing on a regular basis before going through the trouble of finding a real press. 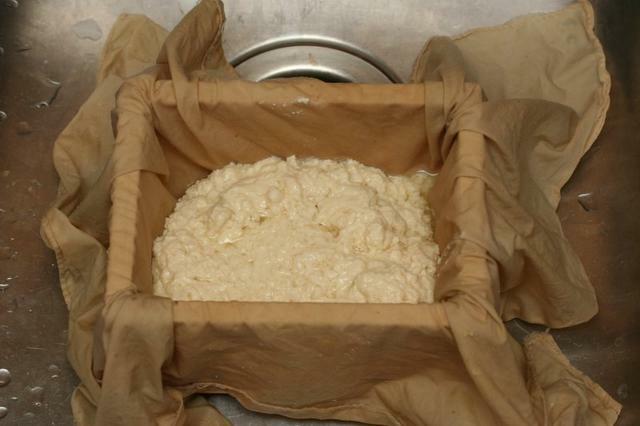 Other than using a colander (and ending up with a round blob instead of a nice block), I have even seen people recommend punching holes in one of the plastic tubs commercial tofu comes in, then fitting a second tub into it over the curds, although I’m not sure how much weight you could pile on top of that arrangement. The loaf pan contraption I made actually worked really well. You could scout out a couple of matching pans (that nest into each other) at a thrift store to make a press that way. I used a hammer and nail to punch holes into the pan; I just didn’t like the way this left little spiky edges around the holes that snagged the cloth. The tofu book I have has detailed instructions on making presses too; if you are interested I could do another post on some of those ideas. A colander is a good idea, though I agree a block makes sense not just for prettiness, but also for storage. I agree I am not sure how much weight one of those commercial tubs can hold. They are pretty flimsy. I might go out and find some loaf pans, because I really want to try it out. One less expense at the store. In one of your other posts, I believe the tempeh one, you mentioned that you use had used chiffon in place of the muslin and that it worked well. Are you still doing that/is that still working out or did you switch back? And do you use it for everything now (tempeh/soy milk/tofu)? Thanks! 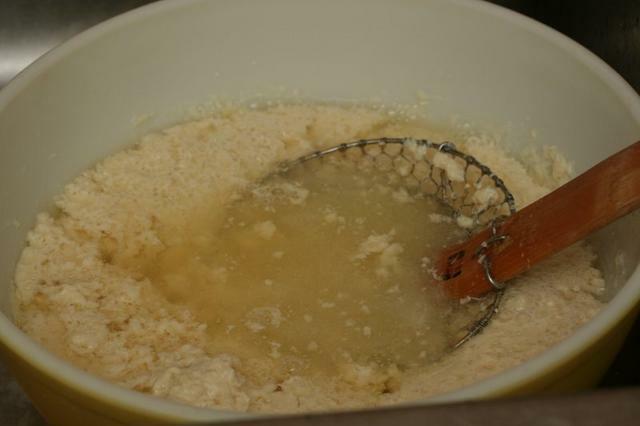 I do still use chiffon for straining soy milk, whether I’m just making soy milk or going all the way and making tofu. It flows through chiffon so fast and the chiffon is easy to clean. 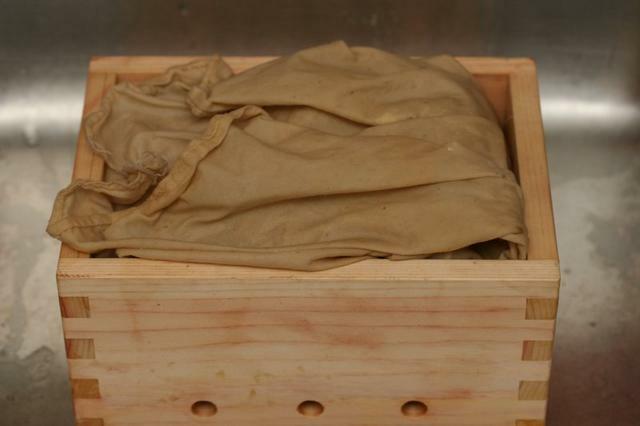 Sometimes I line the tofu press with muslin, though, because for some reason the tofu seems to just turn out better, though the difference is really negligible. One thing that is NOT easy with chiffon is finishing the edges…it’s fraying all over the place. You don’t need to strain anything through cloth for tempeh; I just drain the soybeans using a colander. I don’t find this boring at all! I have searched the United Kingdom looking for a decent tofu press and also New York when there on holiday with no luck. The two things I have found are the plastic ones that you mentioned ( I bought one of these on line and so far find it very unsatisfactory … maybe I am doing something wrong?) 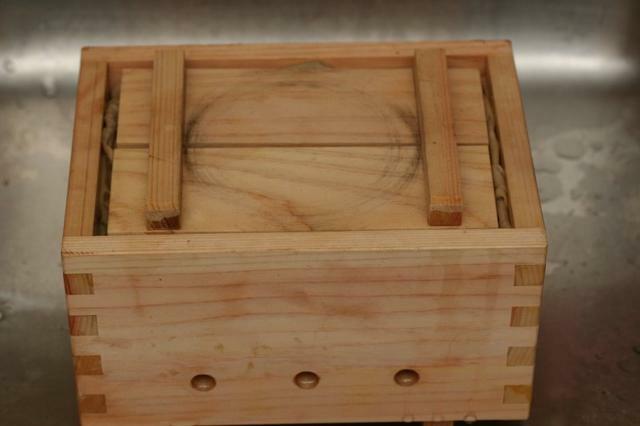 and I also purchased a wooden sushi rice press and drilled holes into it but that has also proved unsatisfactory. I now have a fabulous “soyquick” soy milk maker but not a decent “press” to be found. I too have dribbled over the lovely japanese stainless steel ones and would LOVE one!! Personally I could talk tofu for hours,so far I have made limp,not drained enough blocks and definitely need practice and advice!! P.S Brachtune is gorgeous!! One of my cats is crawling over my keyboard as I type …. I I I think they are interested in tofu too!! Unfortunately it looks like Echowood, which has a nice-looking wooden press, won’t ship outside the US, but there’s information on international orders on the Soyajoy website and they have a wooden press. I have never ordered from them, but as far as I know, it’s the only place to find a non-plastic press. 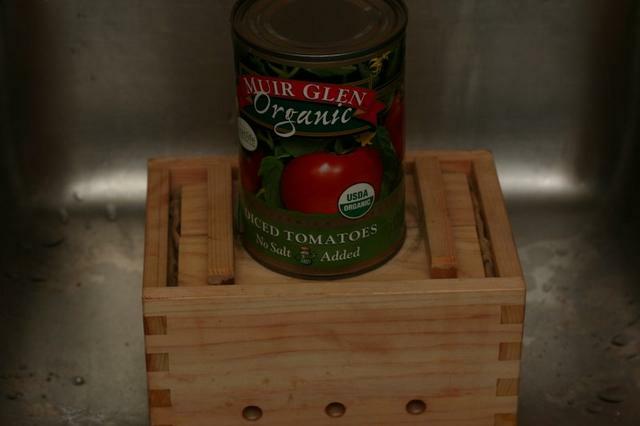 You could also try the nested loaf pans idea, which did work pretty well for me until I got my wooden press. The only problem is I was afraid to drill holes in the sides of the pan because I thought the rough edges of the resulting holes would catch on the cloth when I lined it. However, you can probably file the hole down pretty smoothly. I’ve actually been thinking about trying this approach because I’m even hard on my wooden press, which I think is glued (not screwed) together. Whichever you try, good luck! And thanks – Brachtune is awfully pretty and she’s always getting in the way of my keyboard when I’m typing as well. I ordered my Soymilk maker from Soyajoy with great success. 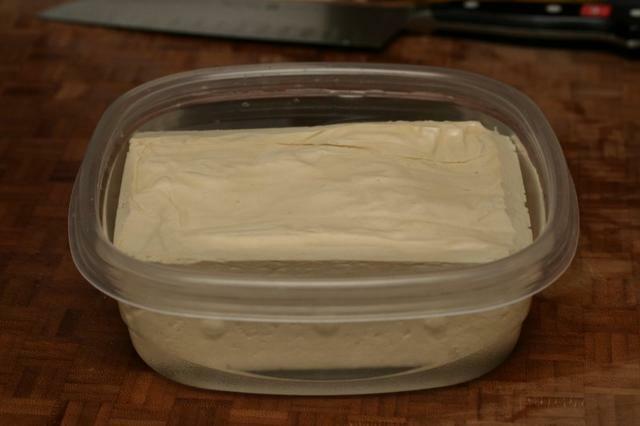 When I first got the soymilk maker (about 2 years ago) I tried making tofu from some instructions I found online using epsom salts and a couple of plastic containers I drilled holes in. It was a disasater! Now that I’m serious (and I found this site!) I ordered the wooden press from Soyajoy. You can get the Nigari there as well. I do live in the states but they are very quick and I’ve had no complaints with them. We’ll see how the tofu comes out this time! Hi Janet, let me know how your tofu goes! I’ve never tried Epsom salts, but I do think you’ll have much better luck with nigari and a sturdier press. Maka, I’ve never used Epsom salts for making tofu – I’ve heard it isn’t that great, and from sources other than just Janet above – but I think you use an amount comparable to nigari. 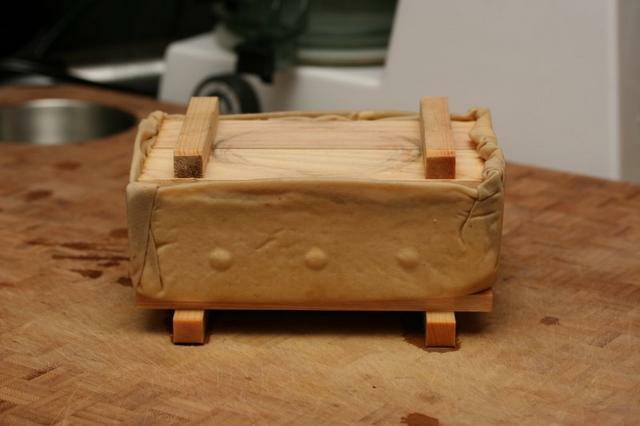 If you’re serious enough about making tofu that you’re having your husband build you a press as you indicated in another comment, I’d recommend you buy some nigari even if you have to order it online. From experience I can tell you it makes the best tofu. Thank you so much for answering my post! I will take your suggestion and find nigari or ordering it online. A Trader Joes is near. I am lucky the Rockville, MD area is a meca full of vegan/vegetarian stores! Thanks again and I will let you know how it turns out! 1. Is the above instruction using powder/flake nigari? If so do you know the equivalent measures and method if using the concentrated liquid nigari? 2. When you state 2 quarts what’s that in cc/litre? be my best friend, you lovely crafty girl. Renae, thank you so much for your blog! 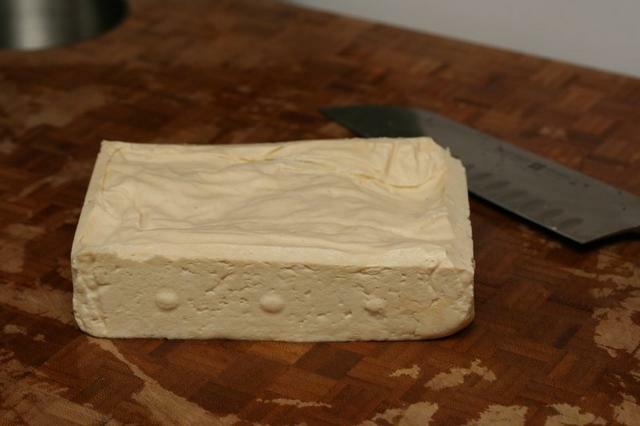 My last batch of tofu came out perfectly. Anno wanted to know how much liquid nigari to use. I used 3 teaspoons for 12 ounces of soybeans. So, for a full recipe, I’d use 4 teaspoons. 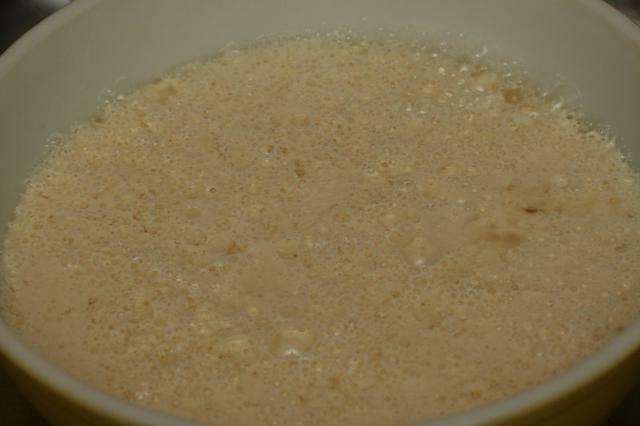 I just add it right into the warm soy milk. I like to use my old meat thermometer to make sure it’s at the right temperature. Although I have had the metal press on my list for a long time, I bought the wooden and plastic ones. I’ve seen some larger ones on youtube in plastic and wood that I think we could make at home for larger or very large batches too. 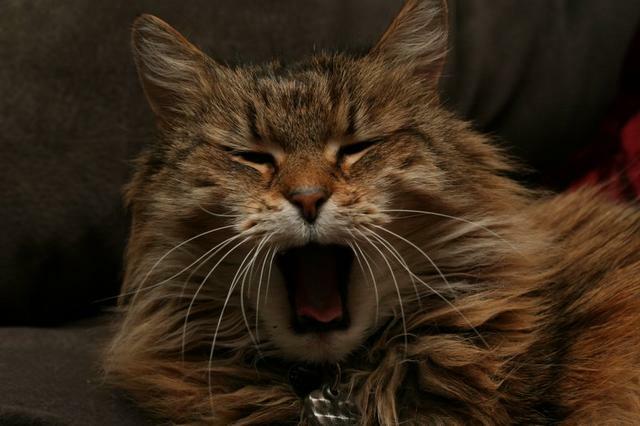 That picture of your cat yawning is so funny! If you don’t mind spending a little extra, ALL CLAD make a beautiful flat bottom steamer insert with perfect amount of holes for tofu making. 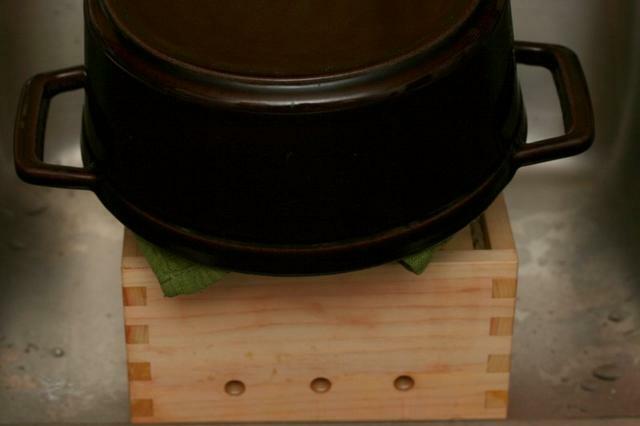 I place tofu in steamer fitted on top of matching pot. It has handles on side so you can buy just insert then set into something it fits over. Then I use lid that is flat for pot that is next size smaller. Place over tofu then add weights on top. 2 soup cans work well they stick up just enough to set heavy pan on. Tofu comes out round but excellent. You cut it up anyway! I found this web site in a blog. It’s a beautiful tofu mold stainless steel. Are there advantages of a wooden mold and a metal mold? I feel wood is more natural and traditional, but should I get a stainless steel one instead? 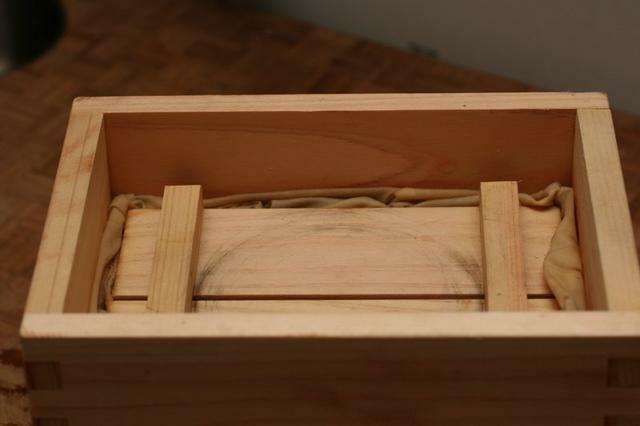 I used a wooden mold for a while (the one shown in this post), but I found it wasn’t very sturdy and after a while started to fall apart. 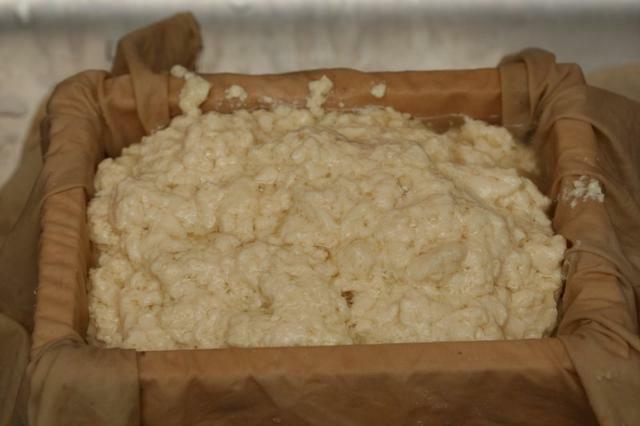 Granted, I use very heavy weights to press my tofu and the press I had was fairly delicate. A sturdier mold may have held up better. I ended up making my own metal press: http://ieatfood.net/2009/05/09/how-to-make-a-heavy-duty-steel-tofu-press/, but you can find beautiful (though expensive!) stainless steel ones. 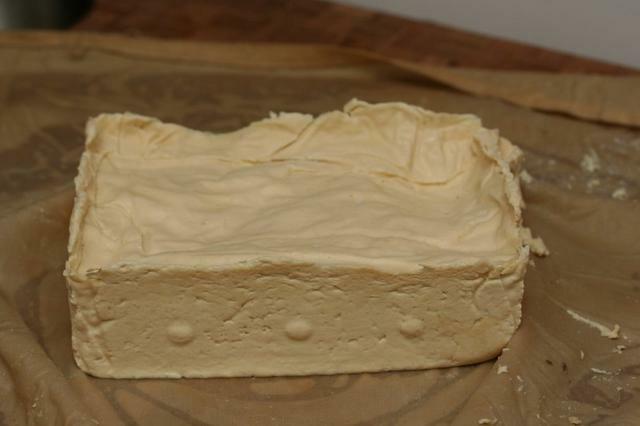 Personally I’d recommend the stainless steel if you are going to make tofu often or if you like a very firm tofu and plan to use a lot of weight during pressing.